About ninety minutes ago my Twitter-feed exploded. This time the reason wasn’t some gaff Romney made or a hurricane blasting the east coast of the United States (which is obviously terrible). No, it was something completely different… something I had been expecting in some way, shape or form for the last few months. 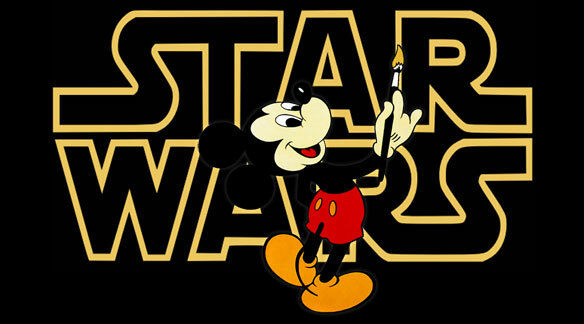 The news was that George Lucas had announced he sold his beloved Lucasfilm and all of its properties to the Walt Disney Company, a move I applaud, but I am getting ahead of myself. Every since the beginning of June I have been waiting for an announcement of this magnitude. On May 31 George Lucas announced he was planning his retirement from Lucasfilm. I exhaled a sigh of relief when I heard that news. While I love the guy for what he has achieved, I am also of the opinion that George Lucas’ presence and influence on Star Wars was becoming more of a burden than a boon on the development of new Star Wars properties. His sensibilities didn’t seem to grow along with his audience. I know his primary audience would always be kids, but he didn’t seem to grasp the notion that a large part of that same audience are people like me… people who grew up with Star Wars, love it to death and want a little more from it than just cartoons and poop jokes. We begrudgingly accepted everything Lucas threw at us over the years, including the prequels, and stuck with it all because we love the property. So the news that Lucas would be stepping down was good, but also sad news to me. A day later Lucasfilm issued a press release that none other than Kathleen Kennedy would be joining Lucasfilm to oversee the production of new material in the coming years as a co-chairman. That news made me perform back-flips when I heard it. Red flags went up in my head, because this is the person who was the producer of some of the biggest and most successful blockbusters ever made, most notably her work with Steven Spielberg throughout the years. This told me Lucasfilm was serious about the future of Star Wars and all the other properties they have in their vault. I knew something was up, otherwise they wouldn’t be able to pull this successful movie producer away from her own company. She was going to inject some true blockbuster sensibility into Lucasfilm, a company that has always been extremely proud of its independence. I was expecting some sort of announcement about the future of Star Wars in Orlando at Star Wars Celebration VI. But nothing surfaced that could make the entire Convention Center rocks on its very foundation. Maybe that was for the best, because news of this magnitude would have blown the roof off the Orange County Convention Center. Would have been cool, though. Now, am I happy Disney has bought Lucasfilm? My initial reaction is a huge YES. We have witnessed what Disney did to Marvel. They backed Marvel every step of the way while they were assembling the biggest blockbuster event of 2012 and Disney continued to support Pixar after they acquired John Lassiter’s company (although I must admit Brave was a little too Disney for my Pixar). Both these acquisitions were met with extreme reluctance on the part of the fans. The outcome, however, strengthens my belief that Disney’s acquisition of Lucasfilm can be a really good thing for us fans. Fun fact is that Lucasfilm and Pixar are now back together again. Disney has always been open to their companies operating more or less on an autonomous basis. Sure, there will be some notes exchanged and merchandising will be rampant, but we are used to that. The main thing is that the person who is going to make these new installments is going to have the freedom to create new and hopefully slightly more mature adventures than we have seen so far. Disney has already announced a new movie for 2015 and Bob Iger has stated that the possibilities for television are also very good. Another factor is of course money. For years we have been hearing that new Star Wars projects weren’t possible because the funding couldn’t be completed. Money is one of Disney’s lesser problems, so that excuse should be off the table now. The only thing us fans can hope for is that smart people are going to be selected to produce and direct these movies. People who realize that acting and story are just as much a part of making a movie as having brilliant visual effects. Maybe then we can start to put the whole prequel mess behind us. For now, let the rampant speculation commence and let us rejoice that the future of Star Wars seems to be in good hands. I am sure a lot will be written in the coming days about Tony Scott. This great American director, who always sported his signature red cap, jumped to his death last weekend after hearing he had inoperable brain cancer. He was only 68 years old. 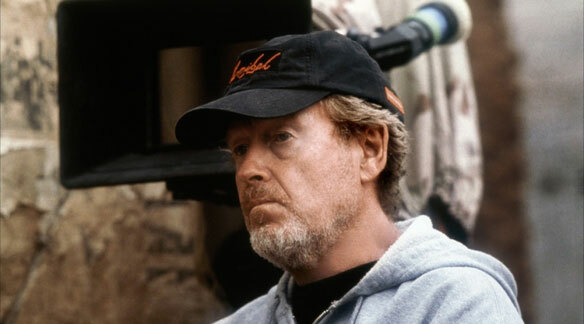 Scott, brother of Ridley Scott, was a director who had just about as many detractors as fans. His incredibly kinetic way of shooting movies made him into some kind of a punchline with people calling his style the fuel for the MTV generation. People die more often, and people commit suicide more often, then why does the cinematic society at large react so intense to the news of Scott’s death? His movies haven’t always been the most deep and thoughtful and to make an inevitable comparison, his movies never really caught up to his brother’s movies. They both, however, worked the system perfectly. He was the perfect Hollywood director with enough style and brains to make his movies stand out from the crowd. My theory for the outcry about Scott’s death is the fact that a great percentage of people today grew up on his movies. Scott started his movie career with a little movie called The Hunger that not a lot of people have seen, But it was Don Simpson and Jerry Bruckheimer who recognized something special in him and they asked him to take a look at Top Gun. Although Scott was reluctant he did it eventually and it cemented his name and style in the heads of many young boys. Top Gun remains one of the greatest action movies from the ’80s. I wrote about it earlier this year and I stand by my comments then. The death of Tony Scott made me put Top Gun in my player again and with the very first sequence, the shots in slow motion of the fighters rolling on the deck of the carrier, I was reminded of the incredible power it still possesses. It made me well up at the thought that the man who thought these shots up chose to take his own life in a moment of despair. Scott influences my love for movies so much that it actually hurts to see this beautiful sequence. And this was only his second feature film. After Top Gun he went on to create his own style that would spawn numerous imitations. Movies like Days of Thunder, True Romance, Crimson Tide, Spy Game, Man On Fire and even more recent outings like The Taking of Pelham 1 2 3 and Unstoppable will be studied in the future for their relentless use of movement and tension. In addition to his directing chops he also was a very prolific producer through his and his brother’s Scott Free Productions. The list of properties he produced is enormous and also for that I would like to thank him. 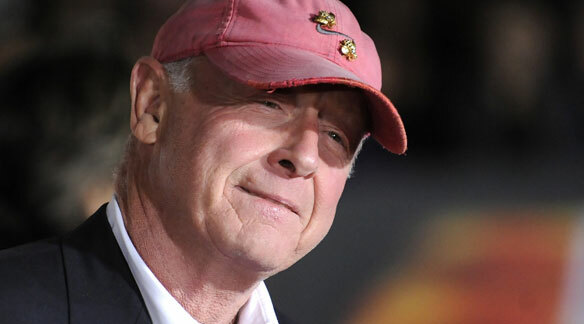 Tony Scott was a great director and he will be sorely missed. My thoughts go out to everyone around him. Now I will go back to watching Top Gun, one of my favorite movies, ever, period. With my review of Prometheus I have concluded my retrospective of all of Ridley Scott’s movies. Some of them I had not seen before, some of them multiple times, some I had not seen in a while. It was good to watch them all in a short time span to get a feeling for Mr. Scott’s work and why people seem to think he is such a good filmmaker. With twenty movies behind me I have come to the conclusion that Mr. Scott is a flawed filmmaker. A man who desperately wants to tell stories and certainly has an eye for the way to tell those stories visually. His movies are always gorgeous. Even Thelma & Louise and Matchstick Men, which are considered to be his most toned down movies, are a sight to behold and the product of a true cinematic eye. Unfortunately, Mr. Scott doesn’t really know how to tell a story that connects with his audience. Sometimes he lucks out, like with Alien or Gladiator, and then the audience just eats his movies up and they come back for seconds. Most of the time, however, Mr. Scott does what he wants. He often takes a known property and decides to go the other way with it. Great examples of these are 1492: Conquest of Paradise and Robin Hood. Instead of showing what everybody wants to see, he decides to tell a story that just doesn’t interest anybody. He also often doesn’t know when to quit. The majority of his movies are more than two hours long and a lot of them would be better if cut down a little. Next to being a very stubborn director who gets what he wants he is also a very sly businessman. He tends to strike deals with studio executives, although he would never admit that, to produce a theatrical version of a movie that is serviceable to be able to get the chance to create his ultimate version on DVD. Naming Blade Runner in this category isn’t right, because that was just inexperience in his dealing with the studio. But a movie like Kingdom of Heaven and the recent Prometheus seem to fit perfectly in that category. These movies are missing chunks of logic and plot, which makes watching them a chore. Overall, I have enjoyed watching the movies of Ridley Scott. As I said, not all of them are equally good. My favorites are Alien, Blade Runner, Thelma & Louise, Gladiator, Black Hawk Down, Matchstick Men, Kingdom of Heaven Director’s Cut and American Gangster. I found a pleasant surprise in The Duellists, White Squall, G.I. Jane and Body of Lies. The rest I didn’t really care for. Prometheus is still under review until the DVD comes out in the fall with the extra material. Intermission: Why the hold up? I interrupt my journal about my movie year to tell you something that really got to me. My oldest son Cody is four and a half years old and has started watching the Star Wars live action movies. I spoke about this in my first review of Episode I this year. Yesterday something happened that got me and wife off guard. Cody has been going on about who is a bad guy and who is a good guy in Star Wars. He knows Darth Maul is a bad guy and Anakin is a good guy, but while watching A New Hope he asked if Darth Vader was a good guy and without really thinking about it we told him that Darth Vader was definitely not a good guy. This scrambled his brain a little bit, because I have never seen him react the way he did. He just sat there for a good ten seconds, just staring, pondering the possibility of Vader being a bad guy. We both thought this was a significant event, but he went ahead with his day and so did we. 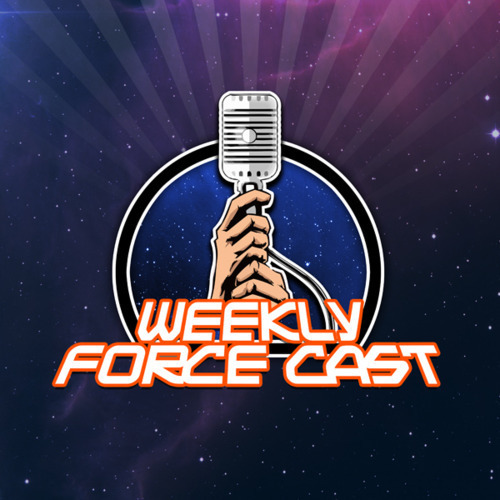 This morning I was listening to an older episode of The ForceCast, a podcast dedicated to Star Wars. It was the episode in which HitFix’s Drew McWeeny talks to Jimmy en Jason about the decision to show his kids Star Wars in a very particular order. A very good interview with a lot of good arguments why that would work. It was a moment in his story that took me back to Cody’s revelation. He tells about his kids’ reaction to the downfall of Anakin. How he grew from a little boy to a petulant teenager to a disgruntled man who hurts the ones he loves. This realization devastated them. And then I thought about the look in Cody’s eyes when he heard Vader was a bad guy and realized I have to tread lightly around this material. Cody is not at an age where he will be able to grasp all the intricacies of the plot, but he will be able to pick up on the basic stuff. I will not be screening Revenge of the Sith anytime soon (not that I was planning to) and when he is a few years older I will probably utilize Drew’s excellent chronology to ease the boys into the whole saga. This is turning out to be a bit harder than I thought it would be, mainly because I grew up with this stuff. It is engrained in my head, but he is totally blank when it comes to Star Wars. I have another boy called Owen (see the obscure Star Wars referenced in the names) and I will be a little bit more careful with him around these movies. I come from Europe, so going to a real Star Wars Celebration, not the knock-off in England a few years ago, was always something that was a little hard to get to. Now that I live in Phoenix, AZ, I am finally able to attend this ultimate celebration of the one thing I have loved since I was a kid. And yesterday I made it official. On wednesday August 22 I am flying out to Orlando to spend a few days immersed in all sorts of Star Wars goodness. I booked a hotel just up the block from the convention center, so I will be alright. i am so psyched. I am going to Star Wars Celebration VI!